Today more than ever, homeopathic knowledge is circulating thanks to permanent exchanges among practitioners. However, this clinical matter available seems often very heterogeneous. We would like this French Congress to be an opportunity to reflect on the question and to share experiences. Those strategies are manifold depending on the teaching you received, the experience and the knowledge you acquired, the opportunities offered by your consultations, even your ideology. We rely on all of you for carrying on this debate and continuing to open the horizon of the future. Therefore, many clinical cases will be presented according to various methodologies. This Congress, focusing on the clinical approach, will allow us to listen to the experience and strategic visionof the main actors of present day homoeopathy. If attendance from our european colleagues is sufficiently large, we shall be able in the near future to offer innovative solutions to allow our colleagues from countries like India, Argentina, and Brazil, to take part in this Congress. 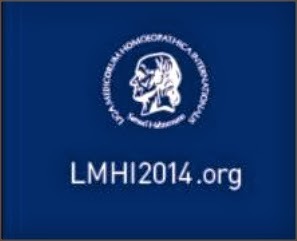 The mission of the annual LMHI Congress is to gather homeopaths from the whole world. Such are our wish and our objective.